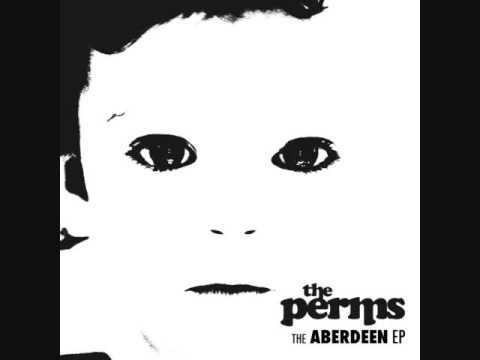 There’s a very comforting sound the the music of the Perms, and there’s good reason for it. The group’s powerpop/pop-punk sound sounds ripped straight from the peak of blink-182, without sounding like a rehashing. The band has been around since 1998, a product of the era instead of a regrettable throwback. With dual male singers, the band nails the late-90’s pop-punk sound, as they have been doing for years. At four songs and only 11 minutes or so, this is only a small sampling size. But the four songs properly convey the sense of urgency in the genre. Rousing guitar opens “It’s Mania” before being matched with a “whoa-oh” vocal harmony in a predictably catchy number. “Aberdeen,” the only song over three minutes, is a bit slower and a little less catchy. It benefits from some sneering vocals, making a little less of an attempt to harmonize. “The Parent Thing” is the biggest throwback on the EP, sounding straight out of 2003 with the almost-too-catchy pop guitar and clear vocals. Finally, “Walk Away” focus a little more on the rock than the pop, with the vocals sharing a rhythm with guitar. This EP has a very clean sound – everything sounds well-produced. Each of the four songs sound ready for the radio, catchy but with a nice helping of energy and fuzzy guitar. Pop-punk may be a genre filled with a number of mediocre and/or blindly nostalgic bands, but the Perms are a band that actually lived through it. They’ve made an original sound for themselves in a field full of unoriginal bands.